Firenze’s version of a Banana Split starts with scoops of rich Chocolate and Banana Gelato, then it is layered with sliced Bananas, and topped off with fresh Whipped Cream and a Dark Chocolate Cigarillo Roll. A unique Italian twist on an American Classic! The “secret” Italian tradition has yet to catch on in America, but that will soon change. It starts with two scoops of Crema Gelato hollowed out, then a shot of fresh Espresso is added to the center and it begins to mix and meld the flavors into a rich, ever changing mixture of bitter and sweet, and hot and cold! A tall, crisp refreshing Sorbetti Float begins with layers of Fragola and Limone Sorbetti, where it is quickly covered in a sparkling Italian Limonata Soda and then topped off with fresh Whipped Cream for the ultimate treat! 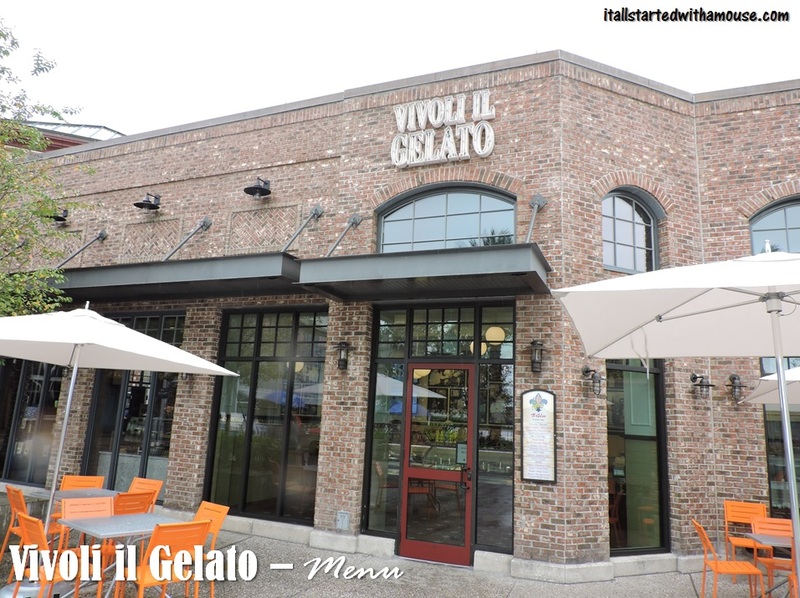 What better way to celebrate the meeting of Italy’s rich Gelato heritage and Florida’s tropical weather. Pineapple Sorbet and Coconut Gelato start this Frizzante off with bursts of flavor, then the glass is filled with a special Italian Citrus Soda called Gazzosa, then layers of chopped Pineapple and a Cherry finish created the ultimate frozen Citrus Treat! Vivoli’s Milkshake program lets you take a Gelato to a new level. Begin by picking your flavors of Gelato, up to three, we then add Milk, mix, and top off with Whipped Cream. Ask your Gelato Scooper for their favorite combinations!